Born in Kiev on July 22. 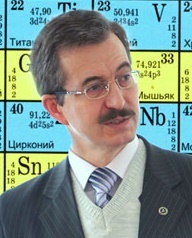 Full Professor of organic chemistry (2006-current), Faculty of Chemistry, Taras Shevchenko National University. Deputy Dean of Science (2007-2014). 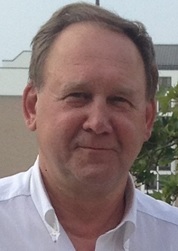 Deputy Dean (Responsible) of Faculty of Chemistry in international relations (2008-current). Coordinator of France-Ukraine Chemistry Association (GRDI «Groupement Franco-Ukrainien en Chimie Moléculaire») (2008-2016). The chief editor of scientific journal FUJC. Responsible for cooperation with universities in France: Toulouse, Angers, Le Mans. Scientific interests: Chemistry of heterocyclic compounds. Isoindoles, tautomeric and atropoisomeric compounds, cyanine dyes, and bioactive substances. Diels-Alder and Michael reactions, rearrangements, and spectral and computational methods of investigation, The use of synthetic organic chemistry for new approaches in the field of medicine, supramolecular chemistry, asymmetric catalysis, green chemistry, and other interdisciplinary studies.Services, statuses, publications. Soros Award – 1997. In 2001 was awarded the status of the Best Professor of Chemistry Faculty (Ukraine). In 2009 was conferred an Order of the Academic Palms (Ordre des Palmes Académiques, France). In 2010 was conferred an Order of Princess Olga (Ukraine). Author of more than 100 publications, 5 patents, and articles in foreign and national journals. Scientific research organization: support the idea of joint graduate school and joint Ph.D. with two research chiefs. Scientific researcher at chemical faculty Taras Shevchenko National University of Kyiv. Graduated from Taras Shevchenko National University of Kyiv in 2009, with master diploma obtained under the supervision of Prof. Z.V.Voitenko. In 2013 obtained joint PhD from Taras Shevchenko National University of Kyiv and Paul Sabatier University of Toulouse under the supervision of Prof. Z.V. Voitenko and Dr. I. Rico-Lattes. The journal manager of international scientific journal FUJC. Scientific interests: chemistry of isoindoles - synthesis and reactivity, Diels-Alder and Michael reactions, rearrangements, green chemistry. Prof., Dr hab. Vitaly I. Kalchenko. Director of the Institute of Organic Chemistry NASU, Head of Phosphoranes Chemistry Department of IOC NASU,Corresponding Member of the NASU. R&D ACTIVITY: Chemistry of Calixarenes, Organophosphorus Chemistry, Supramolecular Chemistry, Nanochemistry, Pharmaceutical Chemistry, Chemosensors, Catalysts, Sorbents and Extractants for Radioactive Wastes Decontamination, Drug Design. PUBLICATIONS: 3 books, 20 major review articles and book chapters, >150 publications in peer referred journals, >30 patents, >50 plenary, keynote or invited lectures at national or international meetings. AWARDS/HONORS: Honorary Doctor: Institute of Inorganic Chemistry SB RAS; Institute of Single Crystals NASU. Member of the Editorial Boards: Ukrainian journal “Organic and Pharmaceuitical Chemistry”(editor); “Ukainian Journal of Chemistry” (co-editor); “Macroheterocycles”. CNRS «poste rouge» fellowship in the Institute of Biology and Chemistry of Proteines, Lyon. France (1996). Invited Professor in the University Claude Bernard-Lyon 1, France (2000) and Ecole Normale Superieure de Lyon, France (2003). Invited lecturer, Universities and Institutes: Strasbourg, Oak Ridge, California, Berkeley, Sun Yat-sen, Czestohowa, Warsaw, Lodz, Kazan. Member of many International Scientific Committees and International Symposia on Phosphorus Chemistry, Supramolecular Systems, Chemistry and Biology, Coordination Chemistry, Chemistry of Nitrogen Containing Heterocycles, Organic Chemistry. 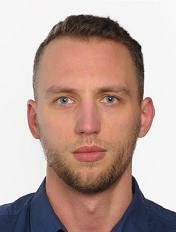 Voloshynets Vladyslav was born on the 30th of January in Vynohradiv city, Zakarpatska region. In 1973 he finished the secondary school. In 1979 he graduated from Lviv Polytechnic Institute, specialty “Technology of biologically active compounds”. Until 1993 he worked at the scientific department of Lviv Polytechnic. Since 1993 he has been working as a teacher at the Department of Physical and Colloidal Chemistry of Lviv Polytechnic National University. In 1983-1987 he studied at the part time post graduate courses, specialty “Technology of thin organic synthesis”. In 2003-2007 he studied at the doctorate courses of Lviv Polytechnic National University. In 1988 he defended the Candidate’s dissertation, in 2008 – Doctoral dissertation. Likings- sports games, eastern poetry and history. Performed researches: “Multicomponent polymer-containing dispersed systems based on polycomplexes” (1990–1993), “Synthesis and study of properties of inter- and intramolecular polycomplexes” (1994-1996), “Modeling and analysis of the multicomponent natural water dispersions in the processes of their flocculation by polycomplexes” (1997-1998), “New polymer flocculants for the natural water clearing from the dangling substances and radionuclids” (1999-2001), “Grafting copolymerization with elements of a template synthesis in the development of polymers for environmental protection” (2002-2005), “Heteropolymer systems and the grafted polymer/inorganic hybrids for nanotechnologies, medicine and environmental protection” (2006-2010), “The nano-sized block copolymer systems for a targeted drug delivery and synthesis of metal nanoparticles” (2011-2013), “The micelle and micelle-like structures of heteropolymers and polymer/inorganic hybrids for nanotechnologies” (2014-2015).Current research: “Heteropolymer micelles for drug delivery and metal nanoparticle synthesis” (2016-2018). Oleg V’yunov was born on 12 May, 1968 in Kyiv, Ukraine. After secondary school, in 1985-1993 he attended Kyiv Polytechnic Institute (now the National Technical University of Ukraine "Igor Sikorsky Kyiv Polytechnic Institute"), Faculty of Electronic Engineering. During this time, he also spends 2 years as a sergeant in Soviet Armed Forces. In 1994–1997 he was PhD student of V.I. Vernadskii Institute of General & Inorganic Chemistry (Kyiv). In 1998, he defended his PhD. Between 1998-2000 he was working at V.I. Vernadskii Institute as scientist. From 2000 till the present time he continues his work as senior scientist. He performed several stays in France, where he acquired new knowledge in various instrumental methods of solid state chemistry. He is the co-author of around one hundred peer reviewed papers in international scientific journals. His research interests focus on the synthesis and characterization of various functional oxide materials. Alexander Roshal was born the June 9, 1962 in Kharkiv, Ukraine. Obtained degree: M.Sc. 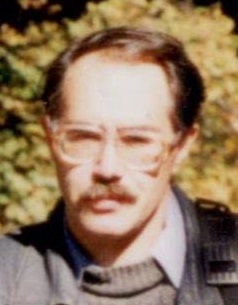 in Physicl Chemistry in 1985, Faculty of Chemistry, Kharkiv State University; Ph.D. in Chemistry (speciality - Organic Chemistry), 1993, Faculty of Chemistry, Kharkiv State University. 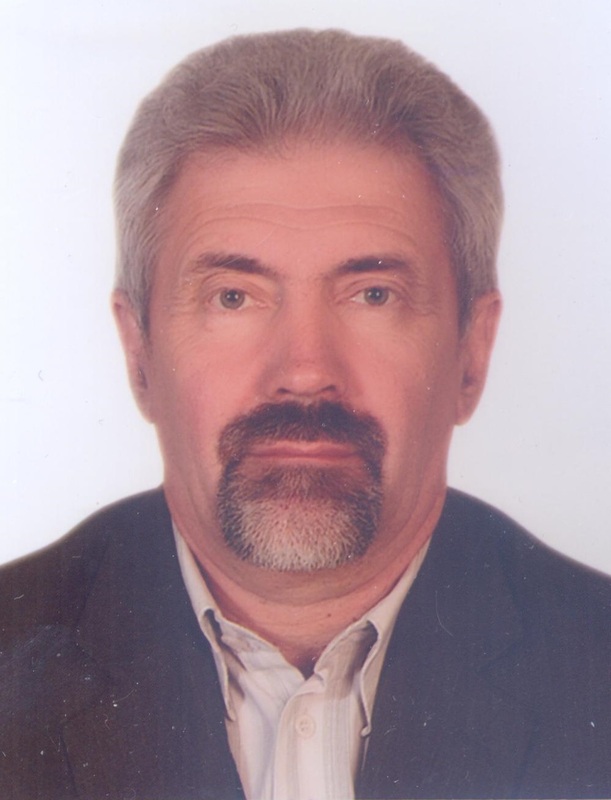 Supervisor – Prof. Valery Orlov. ; Dr.hab. in Chemistry (Docteur habilité en chimie), 1999, Laboratory IMRCP, Paul Sabatier University, Toulouse, France. Consultant – Prof. Armand Lattes. The beginning of the working experience in chemistry – in 1979. Beginning from 1993 – Senior Researcher in Department of Physical Organic Chemistry, Institute for Chemistry at V.N. Karazin Kharksv National University. Beginning from 2017 – Head of Department of Physical Organic Chemistry, Institute for Chemistry at V.N. Karazin Kharkiv National University. From 2011 by now – Associate Professor of Materials Chemistry Department, Chemical faculty at V.N. Karazin Kharkiv National University. 156 papers, 19 patents, 8 scripts and 16 handbooks and books of problems. 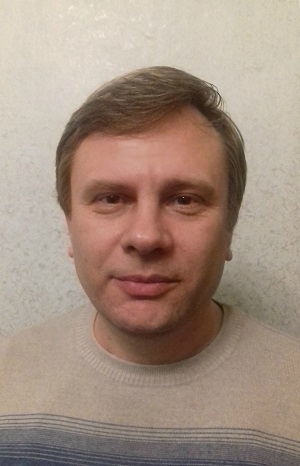 Illia Guralskyi is a research associate at the Department of Physical chemistry (Faculty of Chemistry, Taras Shevchenko National University of Kyiv). He graduated from Taras Shevchenko National University of Kyiv in 2009, with master diploma obtained under the supervision of Dr. K.V. Domasevitch (“Coordination polymers based on the ligands with two 1,2-diazine functions”). In 2012 he obtained joint PhD from Taras Shevchenko National University of Kyiv and Paul Sabatier University of Toulouse under the supervision of Prof. I.O. Fritsky and Dr. A. Bousseksou ("Spin crossover nanoobjects: preparation, organization onto surfaces and study of their bistability by optical methods"). As a postdoctoral fellow, he later worked in Laboratory of Coordination Chemistry (Toulouse, France) and Johannes Gutenberg University of Mainz (Germany, Marie-Curie fellowship). Currently his research is focused on the development of new materials that display the phenomenon of spin transition. This covers synthesis of new spin-crossover complexes, composites, nanoparticles and thin films, with a focus on variation of electrical, mechanical, optical, catalytic and other properties that change upon spin transition. His recent work deals with chiral spin transition materials for photonic elements and enantioselective detection, new spin-crossover cyanometallates, switchable microwave absorbers. 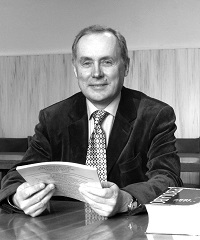 Prof. Nikolai Korotkikh was born in Donetsk, Ukraine, in 1951. 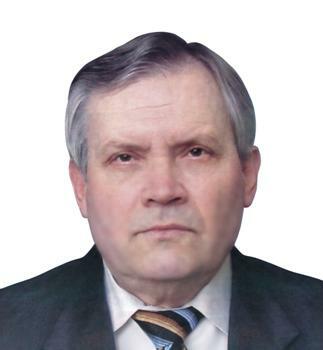 He was educated at the Donetsk State University, Ukraine (1968–1973), obtained his Candidate of Chemistry (Ph.D.) degree in the Institute of Physical Organic & Coal Chemistry in 1982, and Doctor of Sciences degree in 1998. After defending a Doctor of Sciences thesis in 1997 he was elected to the position of Head of Department in 2000 and that he held up to 2014. In 2014 he moved to Kiev where was elected to the position of Head of Laboratory for Chemistry of Stable Carbenes in the Institute of Organic Chemistry. Current research is connected with the synthesis, structures, reactivities, and catalytical properties of heteroaromatic carbenes, carbenoids and their analogues. Earlier works were devoted to the synthesis of heterocyclic derivatives of small rings, ring transformations of heterocycles, materials relevant to the pharmaceutical and polymer industries. 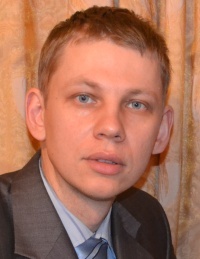 Prof. Oleksandr Vasylyev has completed his PhD from Institute for Metalphysics, and DrSc – Institute for Problems of Materials Science (IPMS), Ukraine. He is a lead researcher of Laboratory for Ceramic Fuel Cells at IPMS in SOFC, titanium in situ composites, electron-beam analysis, and has published above 200 papers; national manager of a few international projects on SOFC, NATO ARWs and ASI "Ceramic Fuel Cells"; fellow of two Scientific Councils at IPMS and the South-Eastern European Electrochemical Society, and Ukrainian Material Science Society; member of editorial boards of "Sintered Materials" and "Electron Microscopy and Strength of Materials" journals. My name is Tetyana Pavlovska. I was born on 14 December, 1989 in Odessa, Ukraine. 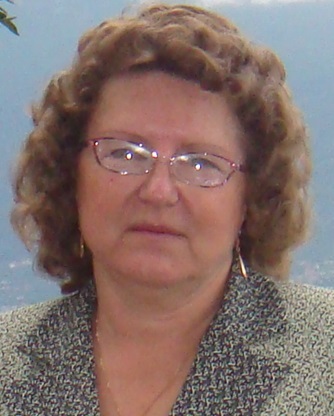 In 2011 I have graduated from Odessa National University of I.I.Mechnikov, Master Degree in organic chemistry. The research focused on the macromolecular chemistry, especially on the synthesis of supramolecular objects. From 2011 till current time I’m doing my PhD in the State Scientific Institution “Institute for Single Crystals” of National Academy of Sciences of Ukraine in Kharkiv under the supervision of D.Sc., professor Victoria Lipson. My research interests focus on the synthesis of various heterocyclic spirooxindole compounds that can serve as drug candidates. Oleksandr Grygorenko was born in Brody, Lviv region, Ukraine in 1982. He received MS in chemistry (2004) and PhD in organic chemistry (2007) from National Taras Shevchenko University of Kyiv. 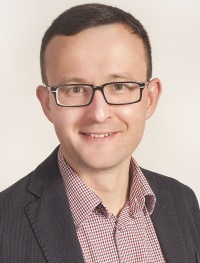 For the last 10 years, Oleksandr has shared his time between National Taras Shevchenko University of Kyiv (currently as Associate Professor), and several companies located in Kyiv, Ukraine (Enamine Ltd., Curpys Chemicals, Life Chemicals) as a consulting scientist. His scientific interests include modern methods in organic synthesis, molecular rigidity concept, chemistry of amino acids, diamines and related compounds, bioorganic and medicinal chemistry, chemoinformatics. 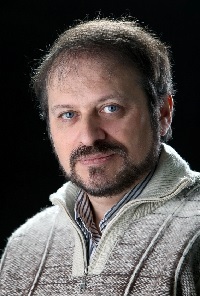 Oleksandr is a co-author of more than 70 papers and 2 monograph chapters. Oleg Lozinski graduated from Taras Shevchenko National University of Kyiv (Ukraine) in 2009 with a M. Sc degree in the Chemistry of Natural Compounds. In 2012 he received Ph. D. in Organic Chemistry working under heterocyclic isoflavone syntheses in the Prof. Volodymyr Khylia’s group in Taras Shevchenko National University of Kyiv. In 2013-2014 he studied carbo-mers in the group of Prof. Rémi Chauvin in Laboratoire de Chimie de Coordination in Toulouse (France), Having been awarded ERASMUS MUNDUS grant, in 2015 he joined the group of Prof. Catherine Bennetau-Pelissero and explored estrogenic activity in Neurocentre Magendie and peformed total syntheses of prenylated coumarins in Institut des Sciences Moléculaires in Bordeaux. Mykola Brychevskyi received a master’s degree of Solid State Physics in Physics Department of Tarsas Shevchenko Kiev University. At the moment he is a researcher for Ceramic Fuel Cells Laboratory of Institute of Problems ot Material Science of NAS of Ukraine, which is actually leading institution engaged theoretical and practical aspects on solid-state electrochemical energy sources field - ceramic fuel cells (CFC). His scientific achievements consist of studies of the effect of structural features on the properties of the components CFC, mostly on the properties of solid electrolytes based on zirconium dioxide. In particular covers the study of the structure evolution during forming and sintering of bulk and film (EB-PVD) electrolytes and its further impact on the mechanical and electrochemical properties. Oleksandr Kobzar was born on February 25, 1990. In 2012 he graduated from Nizhyn Gogol State University. During 2012-2015, he was PhD student under supervision of Prof. A. Vovk at Institute of Bioorganic Chemistry and Petrochemistry of National Academy of Sciences of Ukraine (Kyiv). O. Kobzar has received a degree candidate of chemical sciences on speciality of bioorganic chemistry in 2016. His thesis was devoted to studying the tetraazamacrocycle and fullerene derivatives as protein tyrosine phosphatases inhibitors. Since 2016, he is research scientist in department of bioorganic mechanisms at Institute of Bioorganic Chemistry and Petrochemistry. The current researches of O. Kobzar are focused on searching for inhibitors of therapeutically important enzymes such as protein tyrosine phosphatases, xanthine oxidase, dihydrofolate reductase, glutathione-S-transferase, and leucine aminopeptidase. Born in 1958 (Kyiv, Ukraine). 1983 graduated with honor from Kyiv polytechnic institute, Department of chemical engineering. Since 1982 until 1989 studied improvement of vitamin D3 synthesis in Ukrainian Academy of Sciences. In 1989 was invited by Prof. Yuri Fialkov to carry out scientific research and teaching students at Department of physical chemistry of KPI and since that time worked as Assistant Professor (1990-1995) and as Senior Reader (Associated Professor) since 1995 until present time. Sphere of scientific interest: Physical organic chemistry; studies the effects of salts’ and solvents’ nature on kinetics and mechanism of unimolecular heterolysis reactions during 37 years. PhD (Organic chemistry) since 1991. Volodymyr Shemet received his Ph.D in 1983 from National Technical University of Ukraine “Igor Sikorsky Kyiv Polytechnic Institute”. In 1990 - 1991 he was the DAAD fellowship at the Institute of Reactor Materials in Kernforschungszentrum Jülich (Germany). Than in 1994 -2016 he worked as a scientist at the Forschungszentrum Jülich GmbH in the Institute of Energy and Climate Research (Germany). Since September 2016 he is a permanent visiting professor at National Technical University of Ukraine “Igor Sikorsky Kyiv Polytechnic Institute” in the department of metallurgy. Volodymyr Shemet the author of more than 180 publications and 4 patents. His primary research activity focus is on the thermodynamics and kinetics of high temperature corrosion metallic and ceramic materials and the development of SOFC components as well as fundamental research in materials and coating systems for high efficiency power generation systems. My name is Vladyslav Buldenko. I was born in Chernihiv region, Ukraine, in 1992. From 2009 to 2015, I studied at Nizhyn Gogol State University, where I had obtained Master degree in chemistry. Since 2015 I am doing my PhD research at the Institute of bioorganic chemistry and petrochemistry of National Academy of Sciences of Ukraine under the supervision of prof. Andriy I. Vovk. My research is devoted to study of inhibition of phosphatases by macrocyclic compounds and the mechanisms of ligand binding to the protein molecules. In this connection, my scientific interests are also intersected with this area of bioorganic chemistry. Oleksandr Kostyuk, born in 1962 in Ukraine. Studied chemistry at Chemistry Department of Taras Shevchenko National University of Kyiv. In 1987 joined Institute of Organic Chemistry of National Academy of Sciences of Ukraine as a post-graduate student under supervision of Prof. E.S. Kozlov. In 1991 he obtained Candidate of Chemical Sciences degree in Organic Chemistry. In 2009 at the same Institute he obtained Doctor of Chemical Sciences degree. Appointed the head of organophosphorus department at the Institute of Organic Chemistry in 2009. His main scientific interests are chemistry of enamines, organophosphorus compounds such as phosphinines, phosphines, chemistry of N-phosphanyl carbenes and their metal complexes. Dmytro Khomenko was born in Kyiv, Ukraine in 1984. He received MS in chemistry (2006) and PhD in inorganic chemistry (2010) from National Taras Shevchenko University of Kyiv. Beginning from 2016 – Senior Researcher in Department of Inorganic Chemistry. His scientific interest includes modern methods in organic chemistry. Mainly it concerns synthesis and modification of 1,2,4-triazoles and quinolines. In particular covers the study of diamine, aminoacids and related compounds containing functional groups for bioorganic chemistry and use of heterocyclic compounds as ligands for obtaining of coordination compounds with noble metals. Roman Rodik was born on July 30, 1980 in the city of Kherson. 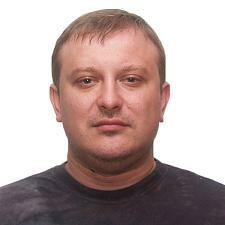 He graduated from Kherson state pedagogical university in 2002 year with degree in Chemistry and Biology (Pedagogue). 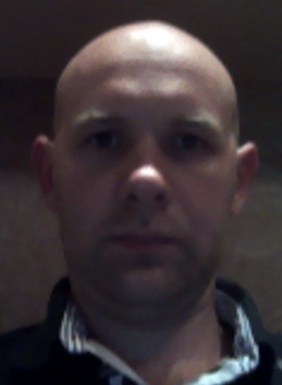 He started work on calixarenes as PhD student at November 2002 in prof. Vitaly Kalchenko group. He defends his thesis: “Functionalization of calixarenes with nitrogen containing pharmacophoric groups”, and obtain Candidate of Chemical Sciences (Ph.D.) degree at the Institute of Organic Chemistry National Academy of Sciences of Ukraine in 2006. In 2009-2016 he visited Laboratory of biofotonic and pharmacology, UMR 7213 CNRS, University of Strasbourg, France as invited researcher for joint projects project NASU-CNRS: “Supramolecular systems in chemistry and biology. Design and synthesis of calixarene receptors of molecules and iones” and PICS #6053 “Amphiphilic calixarenes to transport nucleic acids and peptides”. He is a laureate of awards and prizes for young scientists from the NAS of Ukraine and VRU. He is author more than 40 publications and reviews principally in international journals. Anton Chyrkin graduated from the National Taras Shevchenko University of Kyiv in 2006 and received Ph.D. from the Institute for Materials Science in Kyiv in 2009. 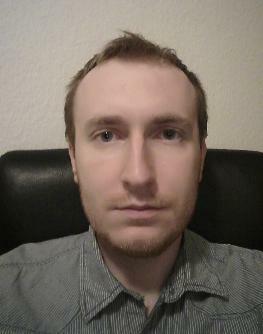 From 2008 to 2016 he was employed by the Institute for Energy and Climate IEK-2 at the Forschungszentrum Jülich GmbH (Jülich, Germany).There Anton received the Dr. rer. nat. title from the RWTH Aachen University in 2012. As of January 2017 Dr. Chyrkin is a habilitation fellow at the department of physical chemistry at the National Taras Shevchenko University of Kyiv. His research activities are focused on high-temperature corrosion of metallic materials such as Ni-base superalloys widely used in the gas turbine technology as well as protective coatings for single-crystal turbine blades. His research efforts aim at developing novel modelling approaches to quantitatively describe the degradation processes of high-temperature materials leading to reliable lifetime prediction tools. 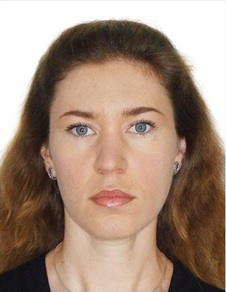 Kytova Dina is an Associate Professor and researcher at Inorganic Chemistry Department of Ukrainian State University of Chemical Engineering She received her Ph.D (2010) in Inorganic Chemistry under the supervision of D.Sc., professor Shtemenko A. The research interests focus on synthesis and properties of cluster rhenium(III) compounds with phosphate, nitrogen-containing ligands, their biological activity and approaches to targeted drug delivery system to tumor cells. 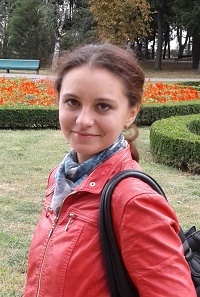 She was awarded DFFD grant (Dortmund University of Technology, Germany), 2 grants of Jackson State University (Jackson, USA), the grant of President of Ukraine to support research of young scientists for the project "Establishment of dosage forms of the antitumor activity of compounds based on the cluster dirhenium(III)». Having been awarded grants of international organization COST Action 1105 she attended training School on "Organometallic anticancer compounds: markers and targets for innovative therapeutic strategies" in Strasbourg (France). Oleg Kalugin was born June 13, 1961 in Kharkov region, Ukraine. He received higher education on the specialty "Chemistry" at the Kharkiv State University named after M. Gorky (Faculty of Chemistry, 1982). In 1987 he defended his thesis on the specialty 02.00.04 - "physical chemistry". He is the Dean of the Faculty of Chemistry and Professor of Inorganic Chemistry Department of V.N. Karazin Kharkiv National University. He passed training in leading academic, research centers and universities in Europe (University of Rostock, Germany; University Abertay Dundee and Rutherford Laboratory, UK, Institute Laue Langevin, Grenoble, France, University of Washington, Seattle, USA , University of Rochester, USA, University of Southern California, Los Angeles, USA, University of Lille 1, Lille, France, University Sophia Antipolis, Nice, France). 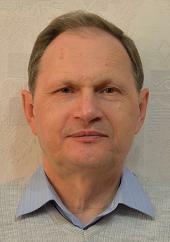 He is the author and co-author of over 180 scientific papers in Ukrainian and foreign journals and three books (ih = 11). Under the guidance of O. Kalugin were prepared and defended 11 PhD theses. Research work is concentrated on the fundamental problems of interparticle interactions and dynamics of ions and molecules in ion-molecular systems, including nanomaterials and on developing electrolyte solutions for electrochemical devices such as lithium-ion batteries and supercapacitors. He launched in V.N. Karazin Kharkiv National University and is actively developing research direction "Molecular dynamics simulation of disordered condensed systems." Actively cooperates with prof. A. Idrissi, LASIR laboratory at the University of Lille 1, Sciences and Technologies. 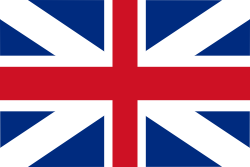 Member of the International Society of Electrochemistry (ISE). He was awarded an "Excellence in Education of Ukraine" of the Ministry of Education of Ukraine (2010). Dr. Larysa Khomenkova (born 1969, Ukrainian nationality) is senior staff researcher of V. Lashkaryov Institute of Semiconductor Physics at National Academy of Sciences of Ukraine. She obtained M.Sc. degree in “Technology and materials of microelectronics” at T. Shevchenko Kyiv University (1992) and PhD degree in “Solid state physics” (1999) at V. Lashkaryov ISP NASU (Kyiv, Ukraine). Field of scientific interests covers optical and luminescent spectroscopy of nanostructures, nonequilibrium processes in solid state materials, and instability and degradation phenomena in the devices, as well as the elaboration of novel technological approaches for fabrication of semiconductor and dielectric materials and structures aiming at their photonic and microelectronic applications. In different years she had the grants in in the field of materials sciences in University of Padua (Italy, 2004-2005), University Complutense of Madrid (Spain, 2005), the Center of Ions, Materials and Photonics (Caen, France, 2007-2012), German Academic Exchange Service DAAD (Institute of Applied Physics, Freiberg, Germany, 2014), National Center of Scientific Research CNRS (CEMES/CNRS, Toulouse, France, 2015). Author of more than 130 research papers.